TheCrazyProgrammer.com was started in the year 2012 with an intention to help other students who are learning or thinking to learn programming. It is specially for beginners. This blog is related to programming technologies like C, C++, Java, .Net, Python, PHP, SQL, Android, etc. It contains basic programs, tutorials and projects that are helpful to learn programming from deep. This blog is read by around 200k+ programmers per month from all around the world. huffingtonpost.com in a list of 25 Practical Blogs To Sharpen Your Coding Skills. feedspot.com in a list of Top 50 Programming Blogs. learntoprogram.tv in a list of Top 10 Blogs for New Programmers. I am a crazy computer and programming lover. I spend most of my time in programming, blogging and helping other programming geeks. 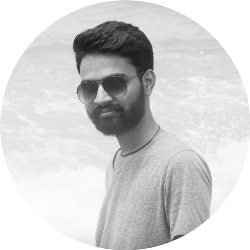 After completing B.Tech degree in computer science I took blogging as my full time career. Read my interviews at Simplified Coding, Geekpost and appleforA.